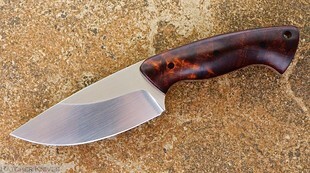 You can see photos/videos and specs of my completed work on the Knives page. 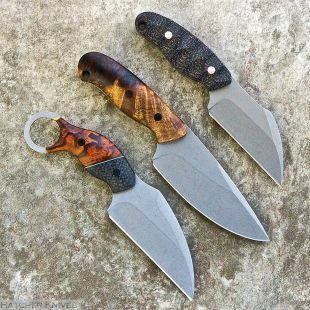 You can see how I make knives on the Shop Updates page and the WIP page, where I post Work-In-Progress photos and videos. When I have a finished knife available, it will be listed for sale on Instagram and/or the Available page and subscribers to my email updates will be notified. I do not accept orders. If you have any questions, please visit my FAQ. I continually update the Hatcher Knives Instagram account so you can follow what I'm up to in the shop. My IG handle is @hatcherknives. You can also view my Instagram posts online: Hatcher Knives on Instagram. 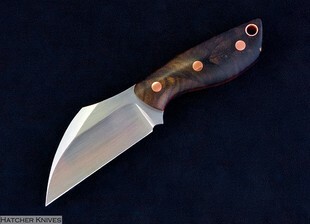 More photos of my work can be seen on the Hatcher Knives SmugMug page. Videos of my work can be seen on the Hatcher Knives YouTube Channel. 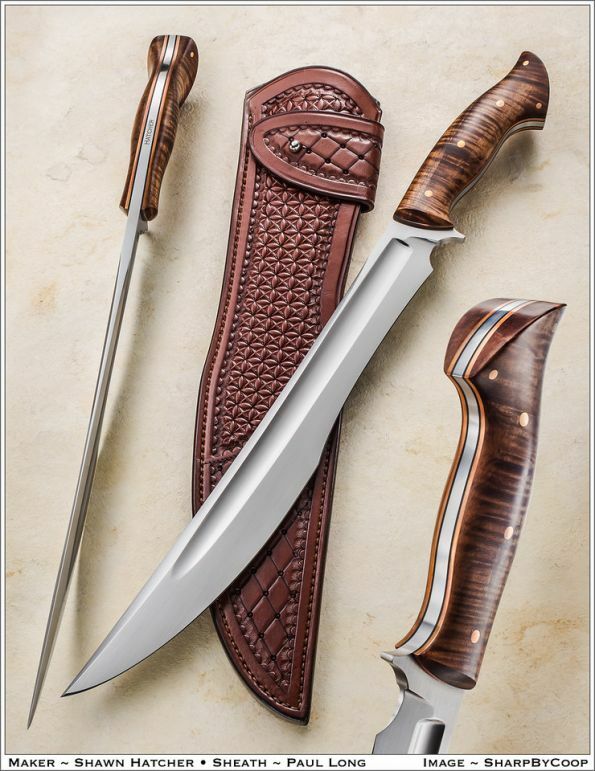 Click the link below and enter your email address to be notified of Available Knives.